Hungry? 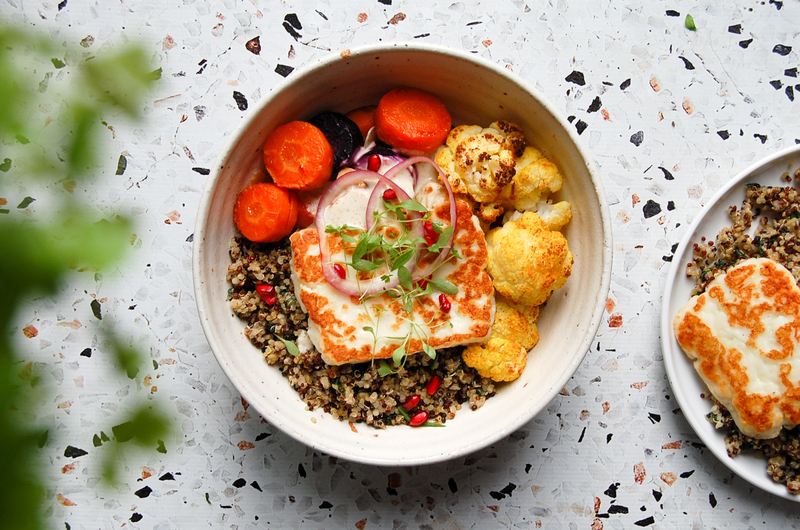 This layered nourishing quinoa bowl is just what you need. Recipe by Roberta Nelson. 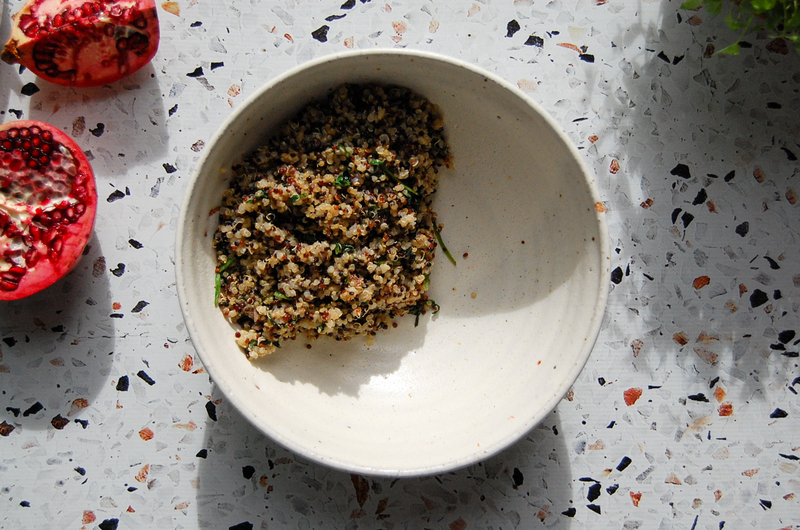 This bowl starts with a layer of garlic quinoa with shreds of baby spinach through it as you can never have too many greens. 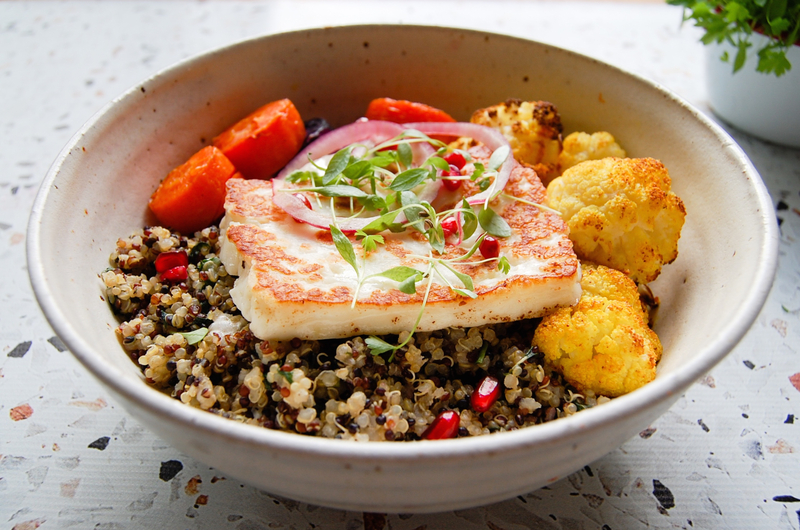 Quinoa is a great base for so many meals with it being a high protein, gluten-free pseudo grain (a cross between a seed and a grain) which contains a number of nutrients that helps your body thrive. It’s low carbohydrate content makes it a favourable grain for those looking to move away from consuming refined or processed carbohydrates like white rice or pasta. It’s high in folate, a B-vitamin essential for your cell function and its growth; iron, needed to transport oxygen around the body; magnesium, which assists people in maintaining stable blood sugar levels; and zinc, a vital mineral for all of our body processes. As well as that, it’s the only grain that contains all the amino acids we need making it a complete protein. 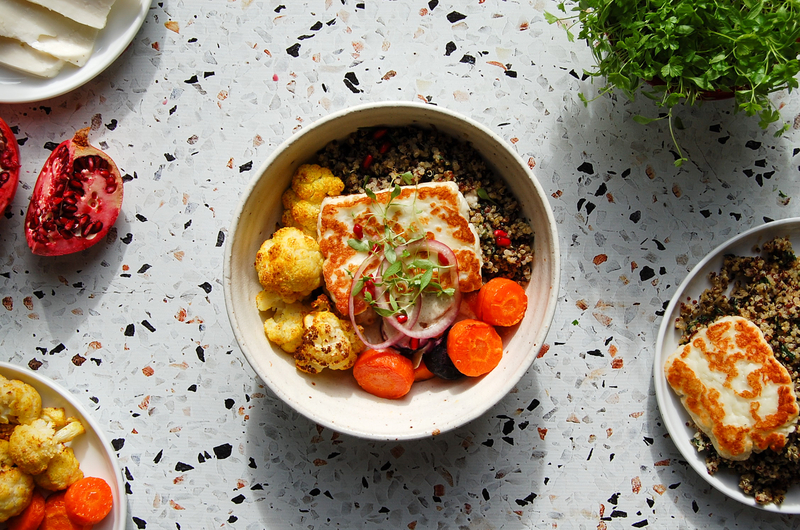 Once you’ve got your quinoa down on the base of the bowl, it is then topped with softly spiced carrots and cauliflower that are coated in turmeric. 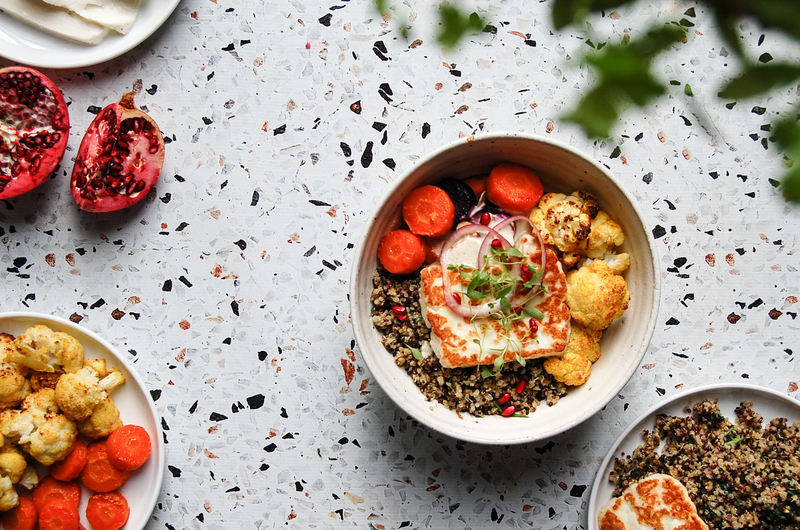 A few dollops of warming cumin yoghurt follow, then a delicious piece of pan fried haloumi, a sprinkle of pomegranate seeds loaded, lightly toasted flaked almonds and fresh herbs. You can make all the individual components and leave them separate in your fridge ready to put together when you’re in need of a nourishing meal. 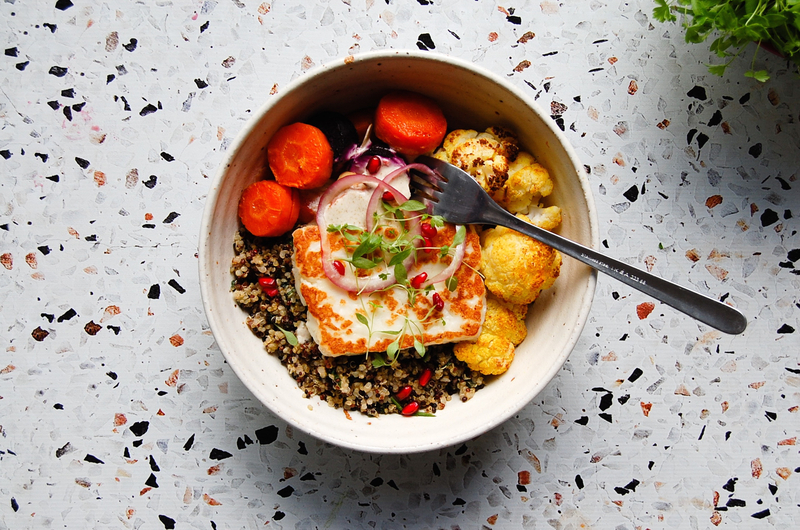 Meal prep this nutritious bowl of ingredients at the start of the week and feed your body the right way for the days ahead. Heat your oven to 180 degrees and line a baking tray with baking paper. 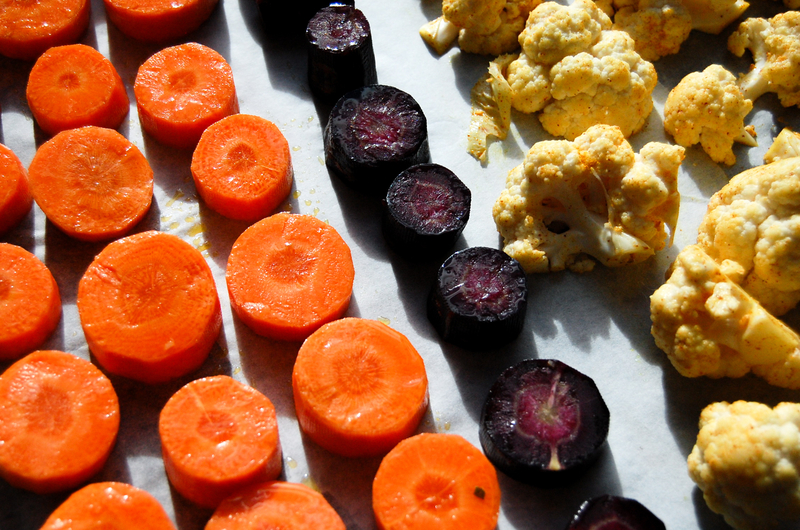 Toss the carrot and cauliflower in the oil, turmeric, cayenne pepper, salt and pepper and then spread them out evenly on the prepared baking tray. Place in the oven to roast for 25 minutes. 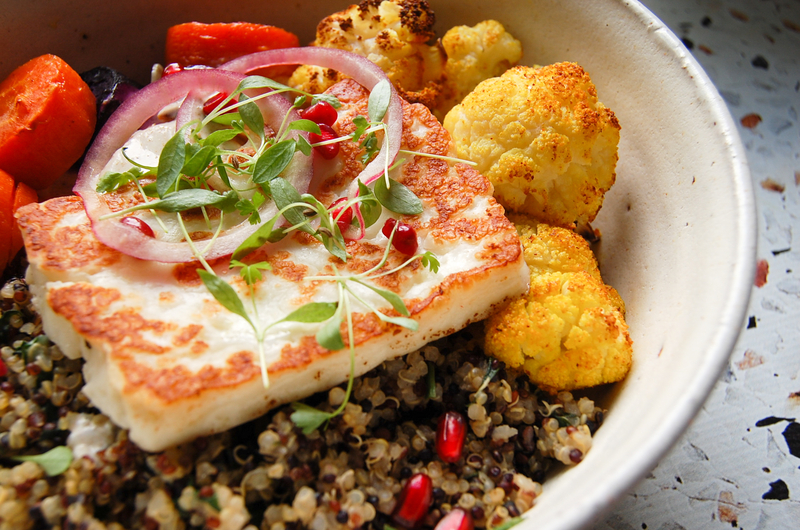 While they’re roasting, prepare your quinoa.